Storytimes designed to ensure that every child is ready to read. Activities to engage school-age children in Science, Technology, Engineering, and Math. Assistance to connect job-seekers with meaningful employment. Creative programming to encourage healthy aging. County-wide access to a shared wealth of resources, both print and digital. Responsible governance and oversight of public investment in local libraries. Libraries are for everyone, and you can make a difference today! You may donate to the Allegheny County Library Association to support its county-wide work or you may give to a specific library to support local collections, programming, and operations. Donations made to the Allegheny County Library Association are tax deductible. The official registration and financial information of the Allegheny County Library Association may be obtained from the Pennsylvania Department of State by calling toll free, within Pennsylvania, 1 (800) 732-0999. Registration does not imply endorsement. Are you looking for a rewarding opportunity to give back to your community? Library volunteers play an important role as partners in the Library’s mission of connecting people in the community to the world of life-enriching information and programs. 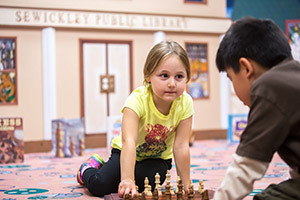 Many of the more than 70 library locations throughout Allegheny County welcome volunteers of all ages to provide services that support their library activities. Rewarding opportunities for volunteers might include keeping collections in order, assisting with clerical work, helping patrons with technology, assisting in the Summer Reading Program, tutoring, and several other specialized roles. Volunteering your time can help a library better serve its community. By providing much needed support to the youth and adults who rely on library services, you will also gain skills and knowledge that can help in your professional career and your personal life. Students can gain community service credit and valuable job experience. Opportunities and requirements for volunteers vary by library. So be sure to visit or contact your local library today to discover more about opportunities for making a difference in your community. To find contact information for your local library, click here. Public libraries are one of the only community assets that serve individuals of all ages and all interests. We truly have something for everyone! If you haven’t visited a library lately, come discover the world of experiences we offer. If you value what libraries do – please speak out on our behalf. Your voice is what libraries need. Tell your friends and family about what you’ve experienced at your library. Sharing your story is always the best way to spread the word about libraries. Let us know why your library matters. Your opinion counts when we talk to decision makers. Click here to share your thoughts. Ask your local government officials to support your library. Local government funding provides the foundation that leverages both county and State dollars. Click here to find contact information. Let your state legislators know how important your library is. Competing priorities and budget challenges have resulted in a significant drop in library funding over the past 10 years. Click here to find your state legislators. Thank the Allegheny Regional Asset District for valuing library service. Click here to contact the ARAD. The Pennsylvania Library Association has resources to help. Click here to find out more.